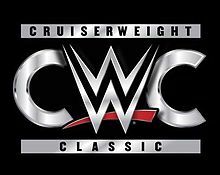 – The Cruiserweight Classic could in many ways be described as WWE’s hand-crafted gift to the internet wrestling community. Name recognition has never meant so much these days and the next stars are just waiting to be made here. The opening video followed in the way of NXT TakeOver highlight reels in that we saw the prettiest slow-motion sequences of the series’ biggest strikes, flips and submission holds. Also worked in was the sound bite from Triple H at TakeOver: Brooklyn II where the CWC winner would be crowned on Sep. 14 and receive a trophy designed by the guys at Orange County Choppers. We finished it out as we saw how Akira Tozawa, Noam Dar and Brian Kendrick all made it to the “Elite Eight.” Hyped for this episode were the last of the Second Round matches, which were Zack Sabre Jr.-Drew Gulak, Lince Dorado-Rich Swann and TJ Perkins-Johnny Gargano. That card alone sounds so good on a regular show. – The Second Round match between Dorado and Swann started things off with an upbeat note, about the same level as Swann’s theme song. The crowd just bounces off this guy’s electricity no matter what. Swann had a little more of a “sob story,” as a hype video explained how he lost both parents at an early age and wrestling saved him from venturing further down a dark road. He opted to entertain people and have them watch him and enjoy wrestling for it. At the same time, Dorado got the chance to talk about being on the biggest stage and didn’t want to let the opportunity slip and put over his diverse fighting style as a factor here. Mauro Ranallo was also smart to drop the knowledge nugget that Dorado was trained by Cesaro and “Lightning” Mike Quackenbush. So, what happened when Swann and Dorado met? Lots of fun aerial see-saw action. Early highlights included both men countering each other’s huracanranas with cartwheels. They worked over each other and took to the air whenever possible. Swann was a heavy crowd favorite, but they also liked Dorado. Their chemistry was on point throughout, as it was portrayed as an even contest. We loved the fact they wore each other down to the point where they traded punches and forearms until they couldn’t stand and deliver them with enough force. Daniel Bryan kept it neutral, as he mentioned it as a battle between two friends who knew each other’s moves quite well. They kept the strong pace right to the end, as Swann emerged victorious after a Phoenix Splash when Dorado missed his signature Shooting Star Press. We figured Swann would go far based off his NXT status, but it was cool to see Dorado get to this point and we believe he’s only scratched the surface of what he is capable of. – The backstage segment with Gargano and Tommaso Ciampa continued the seamless tie-in to CWC and NXT, as the storyline was that Gargano’s knee was a strong concern, as he still coped from injuries sustained when him and Ciampa were unsuccessful at getting the NXT Tag Team Championships at NXT TakeOver: Brooklyn II. Gargano looked hearty, as he put over Perkins for his abilities, but he’d “pour his heart” out there and looked to win it. Ciampa played the supportive partner role just fine here. – The Second Round match between Gulak and Sabre Jr. was a technical masterpiece in contrast to the opener which was regarded more for its fast-paced athleticism. On paper, this looked like gold, since you had the tough submission specialist Gulak (who possessed the fearsome Dragon Sleeper) against the crafty Sabre Jr., who could escape out of most holds and apply the pressure right back to his opponent. There was some early attempt to draw heat on Gulak, as he refused to shake hands before the bell rang. Both men tried to royally break each other down. Gulak’s moves alone looked dreadfully painful. Yup, we cringed at how Sabre Jr.’s shoulders bent upon the Gory Special submission. Bent him like a pretzel. Literally. These guys were also evenly matched, though the crowd was obviously on the side of Sabre Jr.. There was also a cool point where they traded open palm strikes and it looked downright vicious, as told by Sabre Jr.’s glazed over faces. Of course it all had to come to a fitting end, which came when Sabre Jr. quickly countered the Dragon Sleeper into a bridge pin where Gulak couldn’t kick out. Based on the caliber of talent left in the tourney, it was obvious Sabre Jr. also belonged in there. – Next week hyped the Quarterfinals portion of the tournament, which would feature Sabre Jr., Perkins, Swann, Tozawa, Kendrick, Kota Ibushi, Gran Metallic and Noam Dar. No matter how you lay it out, that’s a pretty picture. The CWC continued to roll on nicely with an easy, enjoyable hour. Posted on October 11, 2016, in WWE and tagged Cruiserweight Classic, Daniel Bryan, Drew Gulak, Johnny Gargano, Lince Dorado, Mauro Ranallo, Rich Swann, TakeOver: Brooklyn II, TJ Perkins, Tommaso Ciampa, Zack Sabre Jr.. Bookmark the permalink. Leave a comment.